Oxford, Selma, Montgomery, Birmingham, Little Rock: some place names are unforgettably associated with the events bitter and brave that happened there. 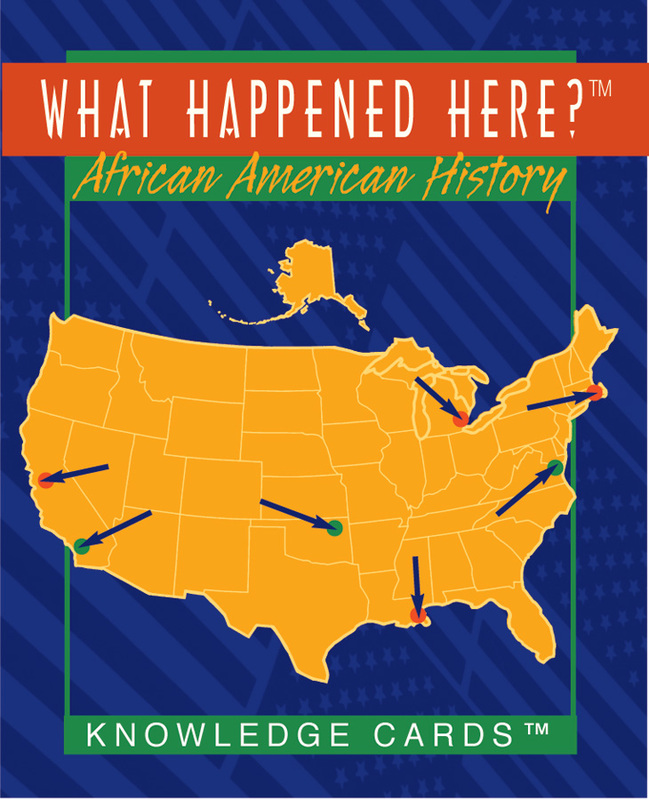 This deck of 48 cards visits the sites of broad fame or infamy, and briefly recounts their significance in African American history. 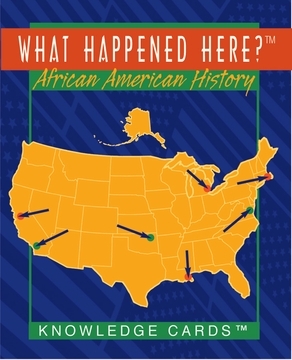 But the reader will also touch down in places like Atlantic City, New Jersey (where the redoubtable Fannie Lou Hamer made her presence known at the 1964 Democratic national convention), Nantucket, Massachusetts (the escaped slave Frederick Douglass attended his first antislavery gather there in 1841), and Auburn, New York (final home to Harriet Tubman, who died there in 1913). In other words, the author hasn't been satisfied to simply hit the high spots; instead, he has dug deep to come up with this satisfying minihistory. Each card gives a location, date, and year on one side, with an arrow pointing to the location on a map of the United States. The card's back tells what took place there. A stimulating classroom tool and an attractive, well-written way to brush up on forgotten lore—or learn history previously unknown.